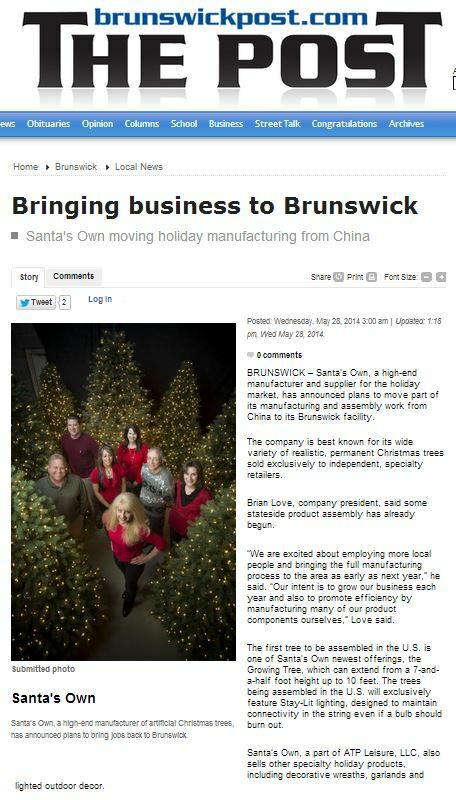 Congratulations to our Client Santa’s Own for their feature on The Brunswick Post! Santa’s Own Christmas Tree Company is known for high-end and beautiful artificial Christmas trees. One of their newest offerings isÂ the Growing Tree, which can extend from a 7-and-a-half foot height up to 10 feet. Signed off by Santa himself, these freshly-cut, pre-lit favorites will make Mother Nature take a second look! In addition, Santa’s Own also carries wreaths, garlands, LED lights, tree stands, scent rings, and other accessories. Check them out at santasown.com!